The last article on CityoftheWeek explored some of the highlights of the Southern Carpathians. Since we’re already in the area, I thought that today I’d present all 7 UNESCO-protected fortified churches of Transylvania, a post that’s been a long time coming. I’ve been wanting to write this article for a while, however it was only recently that I finally ticked off the last one of these gorgeous edifices from my bucket list. You’ve already read about some of these fortifications in previous posts. Some were teased on social media, whilst others were already put in the spotlight in entire articles dedicated to them. There are also a couple of fortified churches that you probably haven’t even heard of. But enough blabbering – let’s get right to the point! Câlnic Citadel (Kelnek in Hungarian) towers over the village with the same name, situated in Alba County, 15 kilometers east of Sebeș. The fortification was built in the middle of the 13th century by Count Chyl de Kelling, a nobleman of Saxon origins, to serve as their residence. Two centuries later it was sold to the villagers, who further developed the robust building, by adding additional walls, a tower and a small chapel. Câlnic fortified church was included in the list of UNESCO World Heritage Sites in 1999 and witnessed thorough renovations in an effort to prolong its lifetime for future generations to enjoy as well. Today it houses a folklore exhibition, a winery, a museum and some traditional and medieval artwork. The wooden, painted Renaissance gallery completed in 1733 is a stunning example of expert local craftsmanship and should not be overlooked. 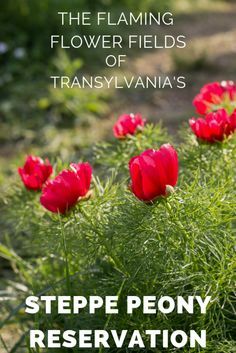 You can read more about it in one of the first Transylvanian posts on the blog, written after my very first visit there. The Lutheran priest holds the key to the fortified church. He resides at the end of the pathway by the left side of the edifice, but it’s better if you call ahead to make arrangements. Heading further east on our castle-hunting journey, we’ll soon stumble upon a slightly different type of fortified church in the small village of Valea Viilor (Nagybaromlak in Hungarian). Once a famed wine-growing region, the village’s name actually translates to “The Valley of the Vines”. At its heart you’ll find the stunning church built in the 14th century, which was fortified merely one hundred years later. Once a Romanesque-style edifice, the church you see today bears Gothic elements, and houses many components that are almost 500 years old, like the old iron grid gate (from 1525) and the stall where the choir was seated (1528). The altar dating from 1779 is a hand-painted masterpiece by an artist from Sighișoara, whilst the gorgeous canopy from 1746 and the pipe organ from 1807 should also not be forgotten. The key is apparently held by Frau Schneider, who lives under the house number 211 (After the church, over the bridge towards the right, and once again turn right into the first street. Her house is just at the end of the road). Despite the schedule, it’s better to announce your arrival upfront, since nobody’s there at all times. Probably the most famous fortified church of the bunch, Biertan (Berethalom in Hun) certainly needs no introduction. I’ve already presented the Gothic-style fortification from the 16th century in a previous post, so I won’t get too much into it and let the images speak for themselves. The village is a meeting point for the Saxon community and its descendants, serving as a host for their yearly get-together. The bastions, the triple wall, the decorated pulpit and the massive wooden door with its intriguing latch system are all must-see attractions of the fortified church. The highlight of Biertan, however, lies at its very heart, in the form of the polyptich altarpiece with 28 different compartments, completely unique in all of Transylvania. If you want to take a good look of the church from afar, I recommend the vantage point which can be seen from the cemetery, pictured in the last photo. When we were there, the regular visiting hours were respected and there was someone working the entrance hall and taking care of admissions at all times. Located by the main E 60 road between Sighișoara and Brașov, it’s actually quite embarrassing to say that we’ve not yet managed to see the fortified church on the inside. We’ve passed through Saschiz (Szászkézd in Hungarian) a myriad of times, almost always in low season, repeatedly forgetting to make time and reservations to see this UNESCO-protected site, which is closest to our hometown. If you’re interested in visiting the area, learn from our mistake and make arrangements a few days beforehand, because after all, one of the most amazing Saxon fortified churches near Sighișoara should definitely not be missed. The ancestor of the religious edifice you see today was already mentioned in written documents dating back to 1309. The church boasting Romanesque architectural details was strengthened and fortified at the end of the 15th century. The clock tower is reminiscent of the one in Sighișoara and was completed in 1677. Since you’re already in the area, you might be interested in climbing up to the ruins of the peasant fortress overlooking the town, which will soon lose some of its medieval vibes in favor of upcoming renovation projects. It’s better to announce yourself in advance. The key to the church is in the holdings of Mr. Hermann, who lives in house nr 181. Continuing our UNESCO-themed journey, we slowly arrive to the small village of Dârjiu (Székelyderzs in Hungarian), renowned not only for its exceptional fortified church, but also for its long-lasting traditionalism attested by its locals. The fortification itself is beautiful inside and out, boasting a 15th century Gothic church, 5 bastions, 5 meter tall walls and valuable medieval frescoes depicting local legends and Biblical figures. It is also home to the oldest Szekler runic record ever. Although these things are all extremely impressive to say the least, I was actually even more touched by the local community. They’ve fought tooth and nail to keep their traditions alive and they’ve succeeded impeccably. In accordance with their heritage, locals still keep their goods such as their bacon and grains between fortification walls. The containers are inherited from father to son, and residents can only have access to their grains once a day, in the morning, and can only take bacon from their stock once a week. The Unitarian church has assigned seating for members, which are once again passed on from one generation to the other and are strictly kept each week during mass. 1st of November – 1st of April – closed. We participated in a guided tour led by a knowledgeable local young woman, unveiling all the secrets and legends in which the Dârjiu fortified church has been engulfed over the past hundreds of years. Viscri (Szászfehéregyháza in Hun) is on my list of favorite villages in Transylvania. Despite the low population (approx 420 souls) and the relative isolation (the 104L road from Bunești is borderline horrible), the main street of the village stuns with its rural charm, pastel-colored homes and subtle hints at provincial life. The charismatic red-tiled rooftops, the geese on the side of the road and the medieval vibes of the fortified church all seemingly take you back to when times were much simpler. The church you see today was built in the late 15th century on the site of a previous monastery from 1100s, whilst the tower was completed in 1677. Despite the fact that the religious edifice already had protective walls around it, a second set of walls was ratified in the 18th century for extra protection. Remember that this is one of the many fortifications near Sighișoara worth visiting, so make sure you include a few of the more underrated ones in your itinerary as well! The key to the church is held by the inhabitants of house number 141, which also features a traditionally-decorated interior with Saxon decor, a small museum if you will, also worth a short visit. Ending our list is a fortified church that’s been mentioned just recently, in the previous post presenting the highlights of the Southern Carpathians. The largest fortification in all of Transylvania, Prejmer (Prázsmár in Hun) was constructed with the German Order of Chivalry’s architectural taste in mind, boasting a cross floor plan. Construction began in 1225, with the first set of walls being completed in 1425 during a Turkish attack, whilst the second batch of walls being built in the 16th century. It is said that the fortification withstood over 50 attacks during its tumultuous history, which you can’t really see, since it is still in pretty good shape today, thanks to continuous renovation efforts. To better protect themselves from their enemies, an entire “apartment complex” was built between the two walls, that can fit up to 272 people in case of a siege. Its stunning triptych depicting the life and challenges of Jesus Christ dates from the second half of the 15th century and has been restored in the 1970’s. If you’re in the area, you might be interested in checking out a few other fortified Saxon churches near Brașov as well. To conclude this article, I’d love to know which fortified church of those enlisted on the UNESCO World Heritage Site would you like to see most? Feel free to share with me in the comments section below! Feel free to share on Pinterest and help spread the word! Beautiful photos as always, Adri! I was really disappoined to miss Biertan when I was in Transylvania. Are any of the villages easy to reach with public transport from Cluj-Napoca? Thank you for the kind comment, John! Unfortunately these are mostly located around the Sebes – Sibiu – Brasov area, and not really accessible via public transport. This brings back a lot of beautiful memories! And now I would even know at which houses to knock to ask for the key. Thanks for the meticulous research! Thanks for the kindness, Andreas! Half the info is from a guidebook, the rest from signposts we photographed that were located by the churches. The phone numbers are confirmed by Google, so things should seem easy to navigate and all info seems up-to-date.